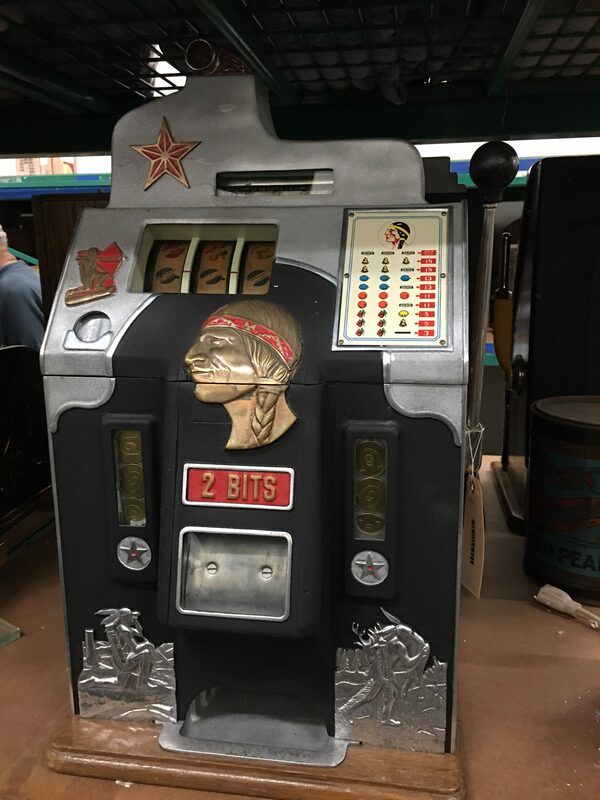 Jennings 25 cent “One Star” Vintage Slot machine features the original three fortune reels and Native American Indian themed castings. 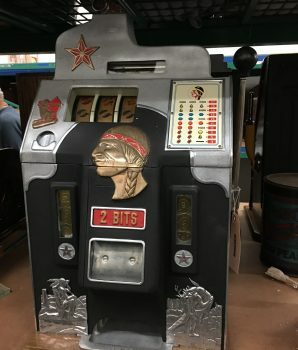 Rare and Unique Dual Gold Awards on either side of the jackpot. Condition: (Very Good) Dimensions: 15″D x 17″W x 26-1/2″T.